What are the typical rates of DC quick chargers? Seems like I've seen numbers as high as (at least) 55 KW. My Clipper Creek gives me 7.7 KW, so that's kind of my baseline. I charged at a Chevy dealer today, just to see how they operate, and sat in the car, listening to the radio while charging. With the climate control 'off', the rate was showing 20 KW. It added about 60 miles of range in an hour; I had the CC 'on' for about half the time, which dropped the rate to about 17 KW. Not complaining, as the charger is free, and I was only about 7 miles from home. Not sure why, but the dealer's Bolt was plugged in when I arrived, but it wasn't charging. I unplugged it, then replugged it when I was leaving. Perhaps they were just showing off how easy it is to charge the car..??? jdunmyer wrote: What are the typical rates of DC quick chargers? Bosch units like what your dealer had can charge the Bolt at around 22kW peak. 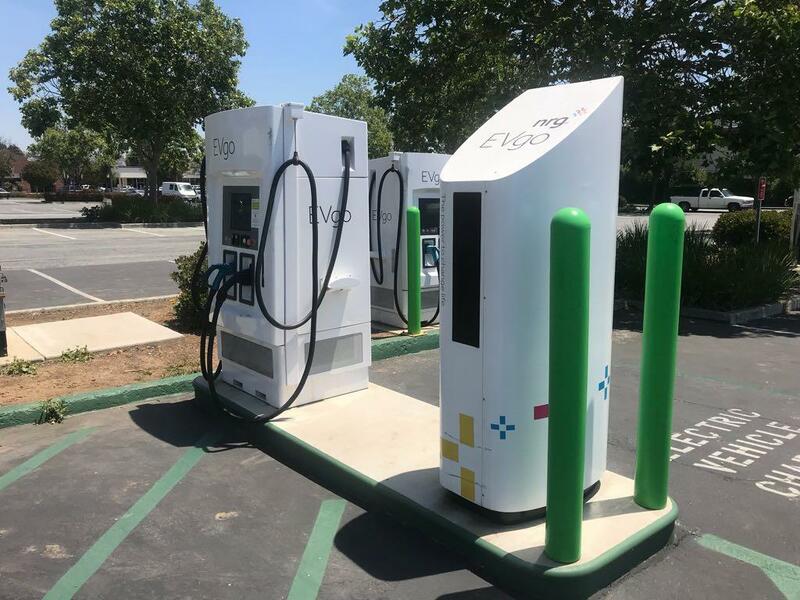 EVgo units seem to be 100 or 125 amp and will charge at about 38 and 42kW peak. ChargePoint DCFC also seem to be in the 40kW range. 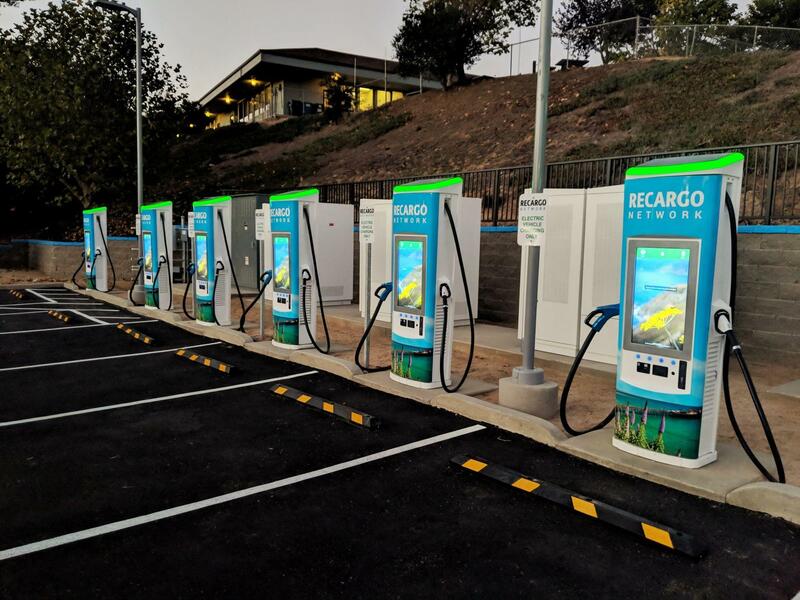 New units from Electrify America, Recargo, and select EVgo DCFC sites will peak at about 55kW. Check PlugShare.com or venders site for check-ins from other drivers. FWIW: I didn't notice the brand of charger, but it looked about the size of your first picture, but was horizontal oriented; IE: long dimension horizontal. It has a small window with a readout that tells you what is going on during the handshake phase, etc. jdunmyer wrote: Thanks for the info! Bosch unit is sold in different configurations. Most ChargePoint DCFC that are floor standing models (not pole mounted) are “rated” at 50 kw and tend to shove 44kw to 47kw into the Bolt. 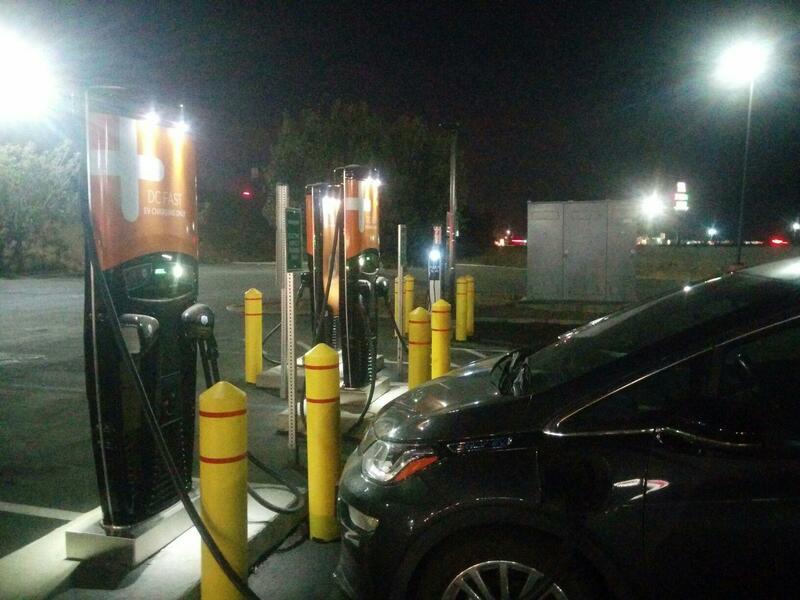 The newest Chargepoint DCFC is “rated” at 62.5 kw (I hear it is capable of more but software limited to 62.5 kw). It will shove about 55kw into the Bolt. The Bolt EV itself is limited to 150 AMPS of input current, so it won’t matter if you could connect to something more than 60kw. The Bolt’s maximum charge rate is 60kw as 150 amps x 400 volts. 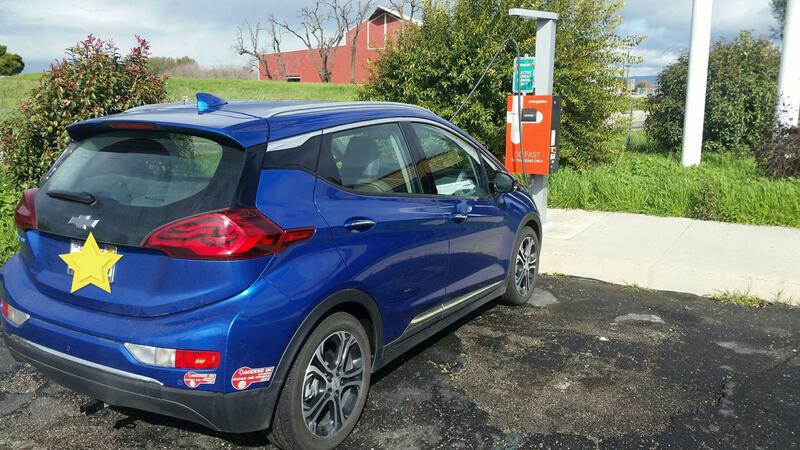 gpsman wrote: Most ChargePoint DCFC that are floor standing models (not pole mounted) are “rated” at 50 kw and tend to shove 44kw to 47kw into the Bolt. Well, the Bolt's max current *IS* 150 amps, however the car steps down (pulls less current) long before getting to 400V. I *think* that it steps down (the first time) around 370V, lowering the charge current to around 105A (and thus dropping the 'charge rate' from around 55kW to around 38 kW at that point). The first step down (from 150A to 105A) happens about when the battery is 55% full. The Spark EV, on the other hand, will pull max amps (up to 135A) until charge voltage reaches 400V (around 75% 'full'), then it slowly tapers the charge (amps pulled) to keep the battery voltage at 400V. It is more of a 'lowering charge rate *curve*. rather than a 'step down' like the Bolt does (fairly sudden drop). Both vehicles will limit their current draw based on battery temp as well (either too cold or too hot). 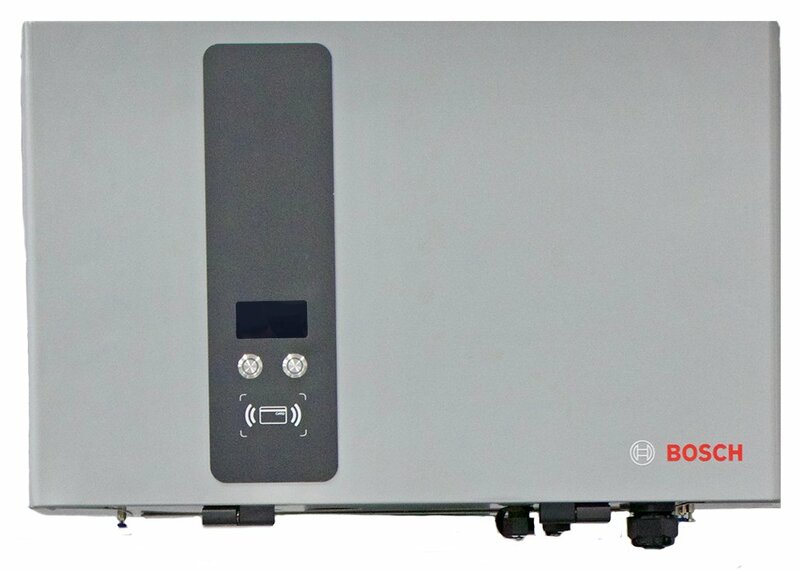 Bolt is limited to 150A below 370V, so 55.5kW. 100A after that to 380V, then 60A to 390V and 40A to 395V, then 25A and natural taper.